A podcast mashup with the After Show – On The Block – AM 2 PM – Kill Show! Where Big Brother alumni and superfans discuss and analyse the game. The Big Brother After Show – Episode 7 – hosted by Kevin Zelman, Ryan Hooks, Ashley Iocco, Jen Johnson. On the Block Podcast with McCrae Olsen and Spencer Clawson with special guest Clay Honeycutt. AM 2 PM podcast with Twins Andrew Monaghan and Pete Monaghan. And the Kill Show featuring OnlineBigBrother’s Simon. 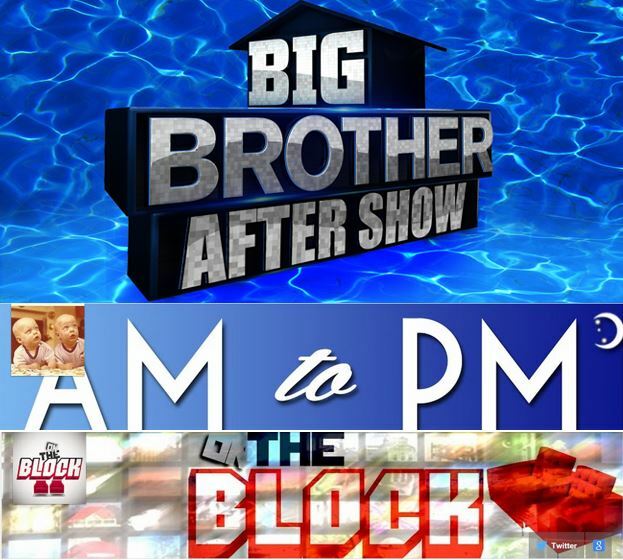 The Big Brother After Show on stream.tv has a weekly episode that analyses the game from the perspective of big brother alumni and from a superfans point of view. The segment is hosted by Ryan Allen Carrillo, Ashley Iocco (BB Season 14), Jen Johnson (BB Season 8) and Kevin Zelman – all super fans!